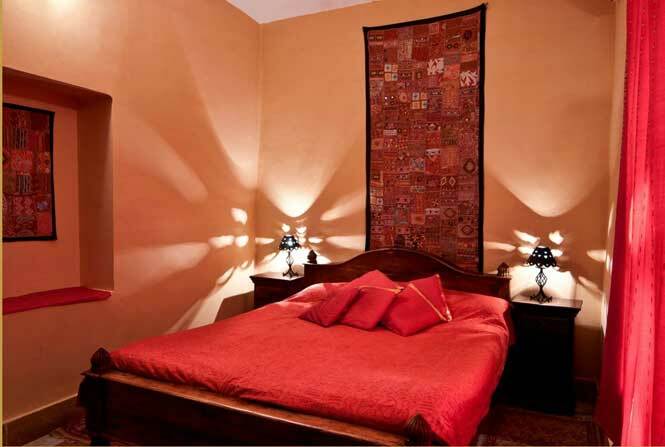 Sister concern of Killa Bhawan, the KB Lodge, located outside of the fort, is a simpler property strategically located in the heart of old city of Jaisalmer. 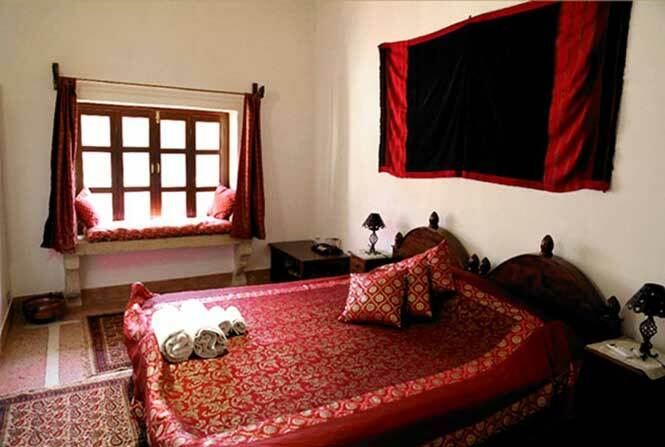 Just opposite the famous Patwa Haveli, one of Jaisalmer’s main attraction, the travelers will enjoy a comfortable and cozy stay at modest rates. The KB Café located on its roof offers delicious pure vegetarian Indian Thali as well as a wide selection of international dishes. 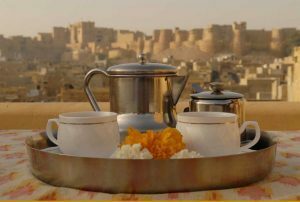 Our guests will greatly appreciate the spectacular views of the Fort and the Patwa Haveli from the multi-leveled terraces . Last but not least, our expert team remains at your disposal for any assistance or service you may need. Thanking you in anticipation of your patronage. Shop till you drop!! 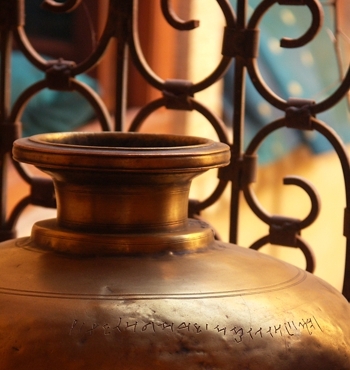 At Sonar Killa, our shop located in the old town, attached to the KB Lodge, sister concern of Killa Bhawan Hotel, you will find a very large selection of marvels from all parts of India. 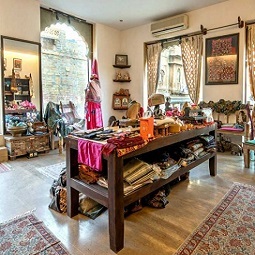 Real cashmeer Pashmina from our own weawers, shawls & stoles in various fabrics, Home textile, antiques and handicrafts, as well as local products such as sandstone objects, embroideries, etc. 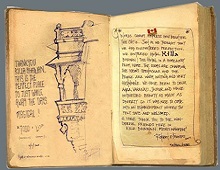 Traveling is an art that requires knowledge and feeds on "delicious" adresses ! 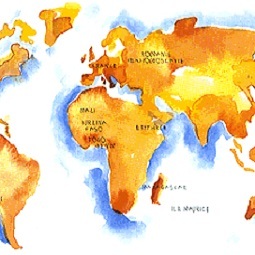 Let us guide you around the world, proposing you places that are worth a visit. Hotels and Guest Houses, Restaurant, owned and managed by friends or associates, 100% certified exceptional, friendly and professional ! They'll offer you the same quality of services and attention as we do in our hotels. Don't miss the chance to stop there ! 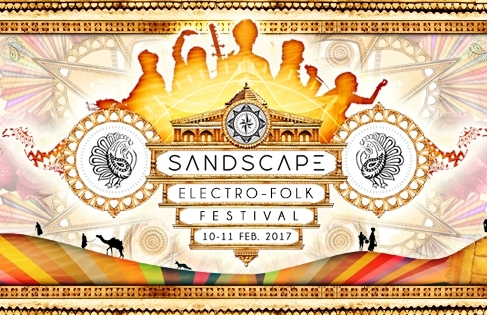 Every year, in February, Jaisalmer celebrates its history and people with a colorfull and vibrant happenning: the Desert Festival ! Three full days of various competitions in the city as well as in the sand dunes nearby, including camel races, dancers & musicians as well as the impressive Mr Desert contest! 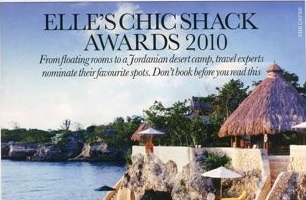 Best "moustache", best Camel decoration, and so many more fun attractions ! A magnificent procession will march through the city at the beginning of the Festival for every citizen to admire and enjoy. 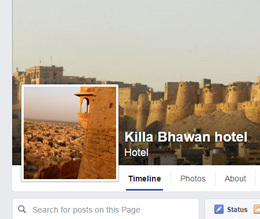 Must see if you happen to be in Rajasthan - Jaisalmer at that time !